Taffeta and Lace opened in 1985 and is Gloucester’s longest established family run bridal boutique. 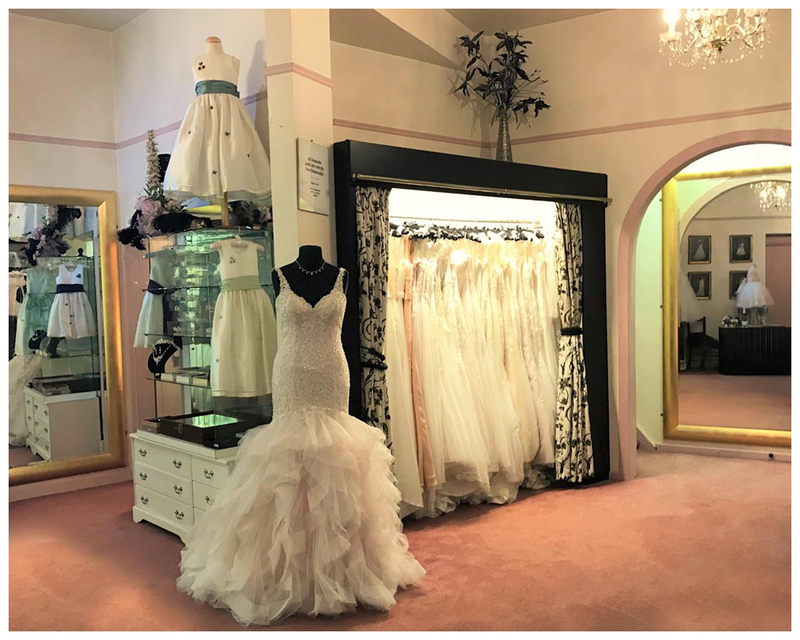 We offer a high level of customer service in a friendly and relaxed atmosphere, allowing you to make the most of your experience viewing our gowns. With a stunning collection priced between £250 and £1500 our wedding dresses are available in a wide range of styles and sizes and we have headdresses, veils, jackets and wraps to compliment your gown, enabling you to create your own unique look. We also have a lovely selection of bridesmaid and prom dresses in many different styles, colours and fabrics. Any alterations required are carried out in store by professional seamstresses, ensuring the perfect fit for your special day. Dresses are always pressed and prepared before collection and can be stored until the day before the wedding free of charge. You can follow Taffeta and Lace on Facebook and Instagram to hear all our latest news and details of Special Events. Our store is situated on Commercial Road, close to Gloucester Docks, within walking distance of two large car-parks .